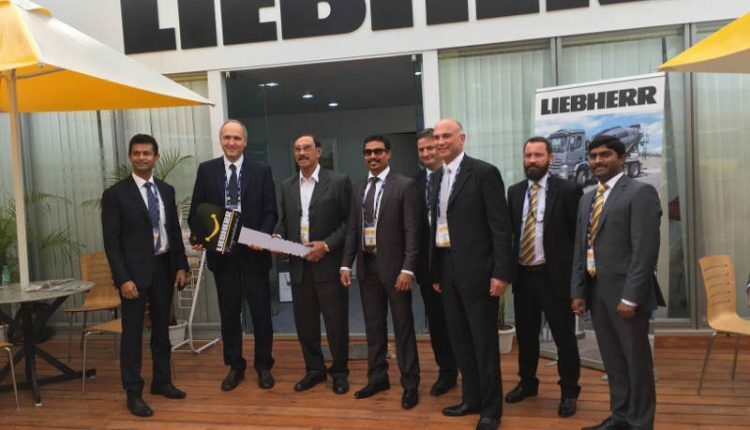 Mumbai headquartered crane rental company, Bhoir Group, ordered six new Liebherr LR 1300 SX crawler cranes. The 300-tonne capacity class cranes were manufactured at Liebherr-Werk Nenzing in Austria. Bhoir also ordered three units of derrick equipment. The crane can be fitted with a maximum 92 m long main boom, a luffing jib of 113 m, and various boom combinations. It can reach a maximum height of 169 m (56 m main boom and 113 m luffing jib). With the derrick equipped, the crane can reach a maximum height of 196 m.
“We find the LR 1300 SX as a versatile machine which can be used in power, cement, steel plants and refineries. We are very happy with the timely service provided by the Liebherr team. Our clients too prefer the LR 1300 SX due to its high reach and load capacity”, said Mr. Bhoir, owner of the Bhoir Group.